Flowers, especially roses, are used to convey the many emotions we have for each other. 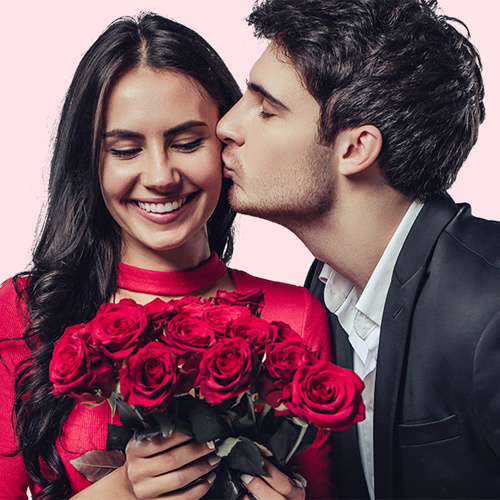 Be it "I love you" or "I'm sorry," sending roses is the perfect way to give someone a lift as well as send a message that you may be reluctant to say. While every flower has a wonderful story to tell, the rose stands alone in its abundant history and color meaning. Here are the meaning of different color roses. A red rose is an unmistakable expression of love. Red roses convey deep emotions - be it love, longing or desire. Red Roses can also be used to convey respect, admiration or devotion. A deep red rose can be used to convey heartfelt regret and sorrow. The number of red roses has special romantic meanings associated with them. 12 red roses is the most popular of all which conveys "Be mine" and "I love you". White rose is a traditional wedding flower. In this sense, white represents unity, virtue, and the pureness of a new love. White roses are also associated with honor and reverence, which makes them a fitting memorial for a departed loved one. When it comes to sending a joyful message, yellow roses are your best friend. In fact, yellow roses are a traditional symbol of friendship, so there you go. With their warm, sunny disposition, a bouquet of yellow roses tends to light up the room, making them a perfect way to say thanks, get well, congratulations or just, "Hey, thanks for being you."